Vividly hued deep azure sapphires and splendid white diamonds add a dash of color. 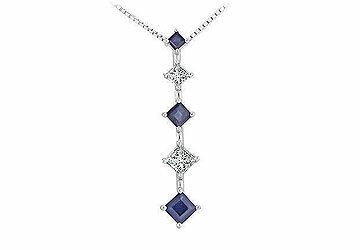 Three square sapphires two white princess diamonds are alternately set in a straight row. Graduating diamonds give a chic look. This journey pendant has a total weight (TDW) of 1.00 ct.